Do you know that 12 rounds of Surya Namaskar burn nearly 156 calories. Surya namaskar or ‘the sun salutation’ dates its origin back to the 20th century. 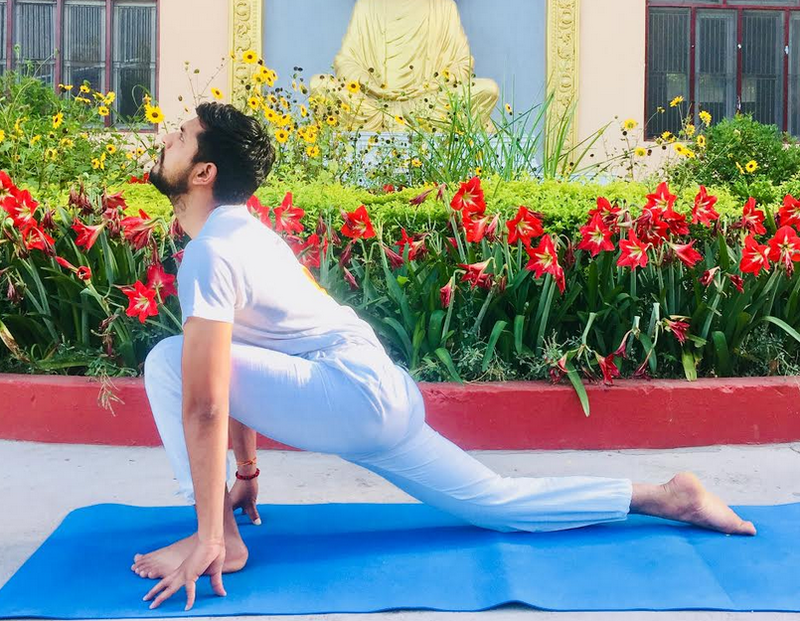 This modern yoga asana is performed in 12 steps, and each asana focuses on benefitting a specific part of the human body. 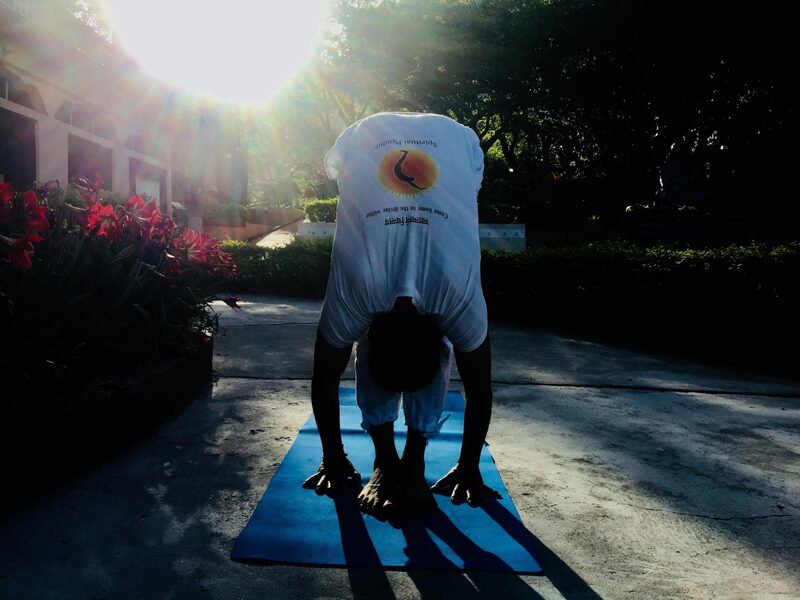 Surya namaskara can be practiced by people of any age group and the best time to perform this yoga pose is at sunrise. Ekattva Yogshala brings to you an elaborate guide to perform sun salutation pose and reap maximum benefits out of it. Pranamasana or ‘Anjali mudra’ is the gesture of reverence that is considered as a sign of respect and greeting in India. Pranamasana is just like ‘Namaste’. While standing straight, join the palms of both your hands while keeping the fingertips pointing up. Yoga Step Benefit: Pranamasana, or ‘the centering pose’ is a focus building and meditative yoga pose . It helps to relieve from mental stress and anxiety. The name originates from sanskrit word meaning ‘upward tree’. Recovering from Pranamasana, stand straight , raise your arms and gaze upwards. Stretch back and lengthen your spine. Make sure your feet remain on ground and don’t lose balance. Let go and retain standing position slowly. Yoga Step Benefit: Hasta uttanasana benefits people suffering from asthma. It helps encountering backache, fatigue and mild anxiety. This pose also improves digestion. 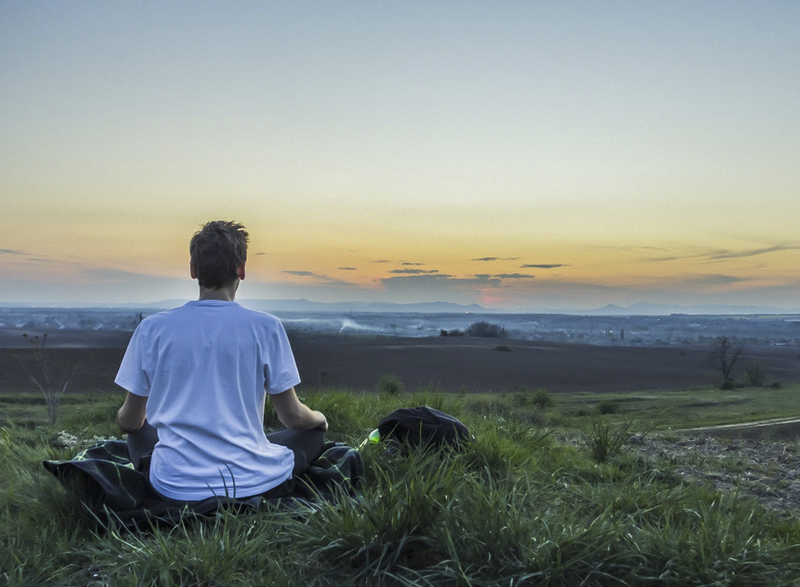 Pro yoga tip – Avoid looking up if you feel dizzy and don’t overstretch your arms if you experience pain. While exhaling, bend forward and touch down your toes with your fingers. It is alright to bend your knees initially, if you aren’t able to keep them straight while bending. Make sure your spine does not bend. Keep your neck and shoulders relaxed. Press into your heels softly so weight is evenly distributed. Yoga posture Benefit: Uttanasana helps in recovering from insomnia, osteoporosis. It relieves anxiety, stress and headache. This Surya Namaskar pose strengthens thighs and knees, stretches hips, hamstrings and calves. 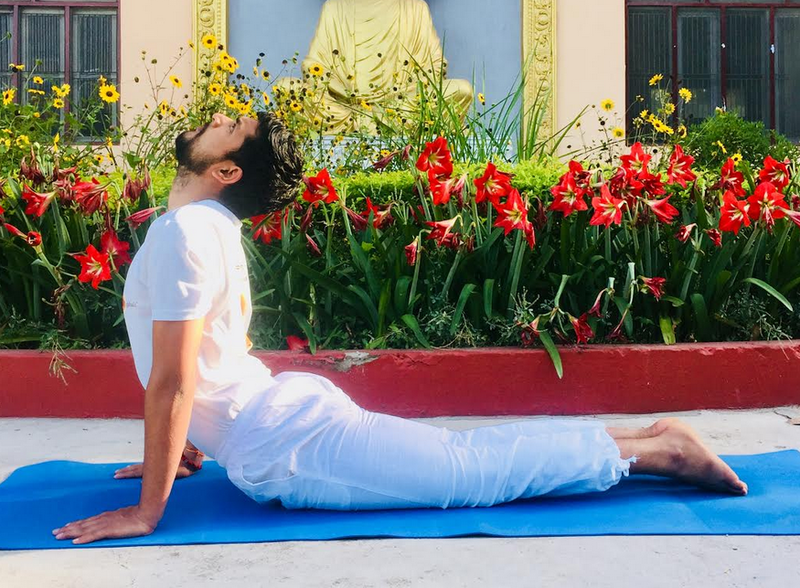 Pro tip: This Surya Namaskar step should be avoided if you are suffering from lower back pain, neck injuries, heart problem or high blood pressure. While in Uttanasana, bend your legs at the knees and place your palms on the ground, in line with you feet. Breathe in and stretch back your right leg and bend the left one at 90 degree. Balance your body on toes while distributing your weight evenly. Yoga modification Benefit: Every yoga asana has its own health benefit. This Surya Namaskar pose increases will power. It strengthens spine and increases lung capacity. It stimulates digestive system and tones kidney and liver. Pro tip: This Surya Namaskar step should not be practiced if you are suffering from knee or neck injury. Exhale and step your left leg back to form the plank pose. Make sure your shoulders, elbows and wrists remain perpendicular to the floor. Bring in your shoulder blades, then widen your collarbone while spreading the shoulder blades. Roll and press your toes into the mat but avoid tightening your knees. Keep your neck relaxed and aligned to spine. Yoga asana benefit: Dandasana tones the abdomen and helps building strength and endurance of arms, shoulders and wrists. 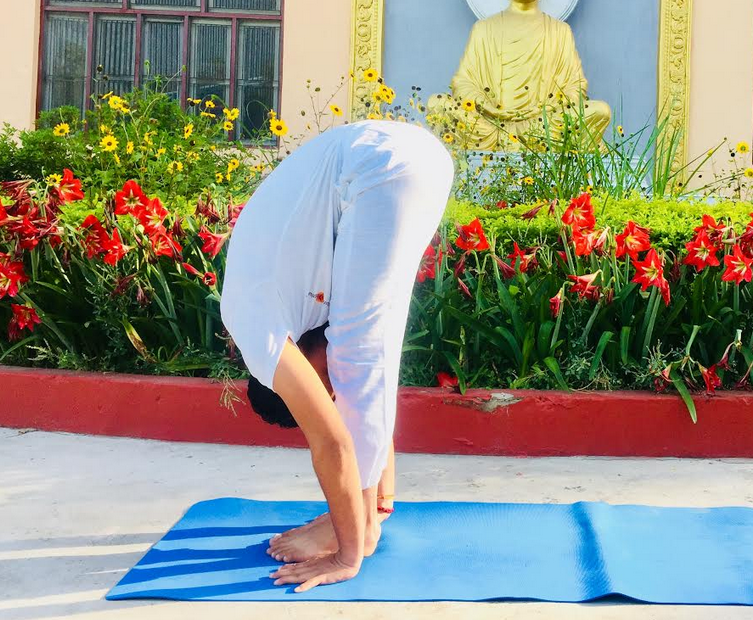 Pro tip: Don’t practice this Surya namaskar asana pose if you are suffering from severe low back pain or wrist injury. Fight diabetes with these yoga mudras and balance your blood sugar without medication! This Surya Namaskar step starts by dropping down from dandasana and touching your chin, chest and knees to the ground at the same time. Place your chest right between your arms. Your elbows should be hugging your chest and pointing towards the ceiling. Make sure that your hips stay off the ground. Yoga pose benefit: Ashtanga Namaskara tones and strengthens the arms, shoulders and legs. This yoga pose releases tension around the neck and shoulder. It also improves spine’s flexibility. Pro tip: Patients suffering from buttock injury, spinal pain or lower back pain should avoid this Surya namaskar step. Inhale and raise your and head to create a backbend while your palms placed on the mat and elbows gently bent, hugging your body. Roll your shoulders backwards and keep your neck relaxed. Your lower torso and legs should remain intact with the ground while performing this Surya namaskar pose. Yoga pose benefit: Bhujangasana helps in strengthening the torso. It tones abdominal muscles and improves blood circulation. It helps during menstrual cycle and cures backache and sciatica. This asana is also therapeutic for asthma. 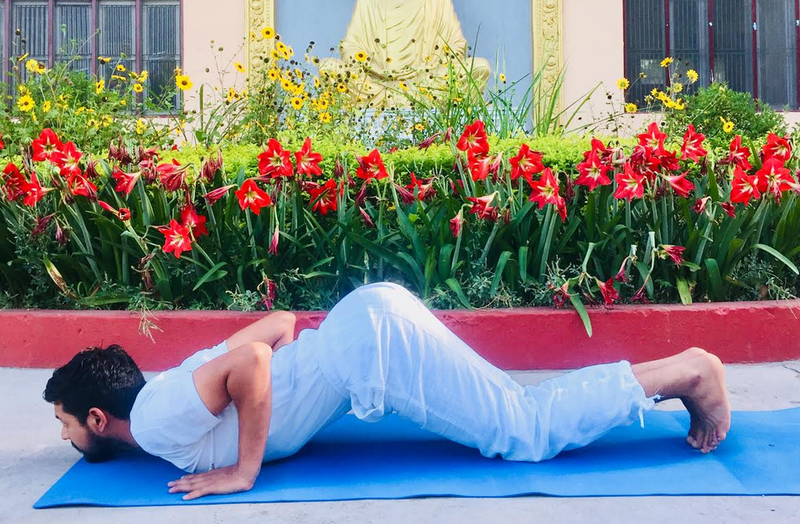 Pro tip: In case you suffer stomach disorders like ulcer, hernia, back injury, hyperthyroidism, consult a doctor before practicing this asanas. 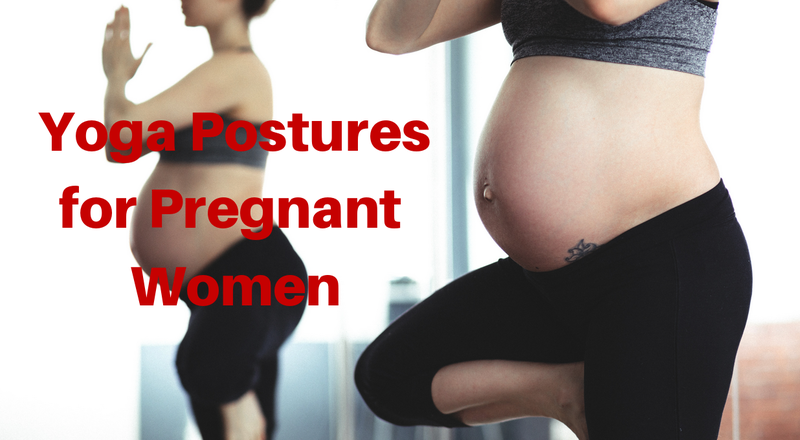 While exhaling, lift your hips towards the ceiling. Push down your heels on the mat/floor. Drop down your head while looking towards your navel. Make sure your neck and shoulders are relaxed and weight is entirely distributed on your limbs. Practice this Surya Namaskar technique and reap unimaginable health benefits. Yoga asana benefit: This Surya Namaskar pose has incredible health benefits. It improves blood circulation, calms the nerves and relieves stress. For women, It helps relieve symptoms of menopause, back pain and headache. Pro tip: This asana should not be performed by people who are suffering from diarrhea, eye or ear infection or wrist injuries. 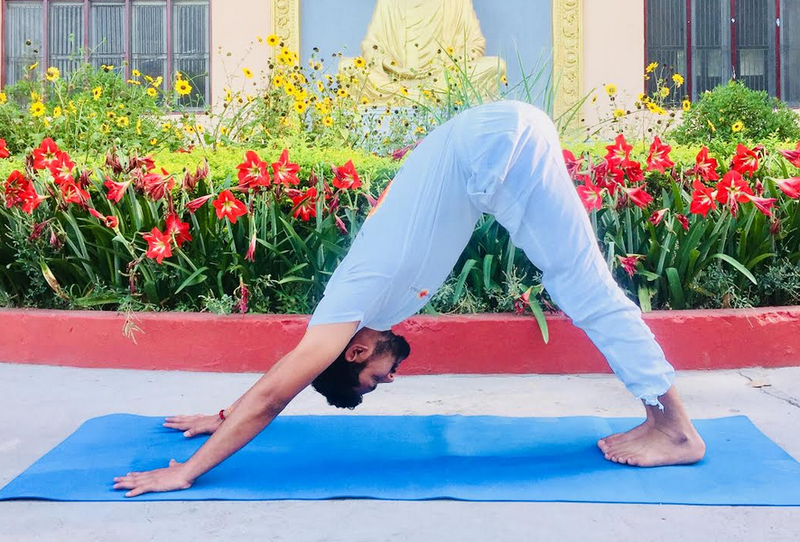 As you complete the eighth step of Surya Namaskar, you will now have to repeat Ashva Sanchalanasana, Uttanasana ,Uttana hastasana and Pranamasana respectively. From Adho Mukha Svanasana , inhale and bring your right foot forward, and place it in between your palms. Study the step number 4 for benefits and cautions. Exhale slowly, now bent down and place both your toes aligned to each other. Touch your toes with your fingers. Refer to the step number 3 for benefits and cautions. Raise your hands above and stretch back your spine. Gaze towards the ceiling while bending backwards. Read and follow step number 2 for benefits and cautions. This asana ends where it begins. Surya Namaskar’s final pose is ‘Anjali Mudra’. Join your palms together in the ‘Namaste’ gesture. As you finish the above 12 steps of Surya namaskar, one cycle of this asana is completed. 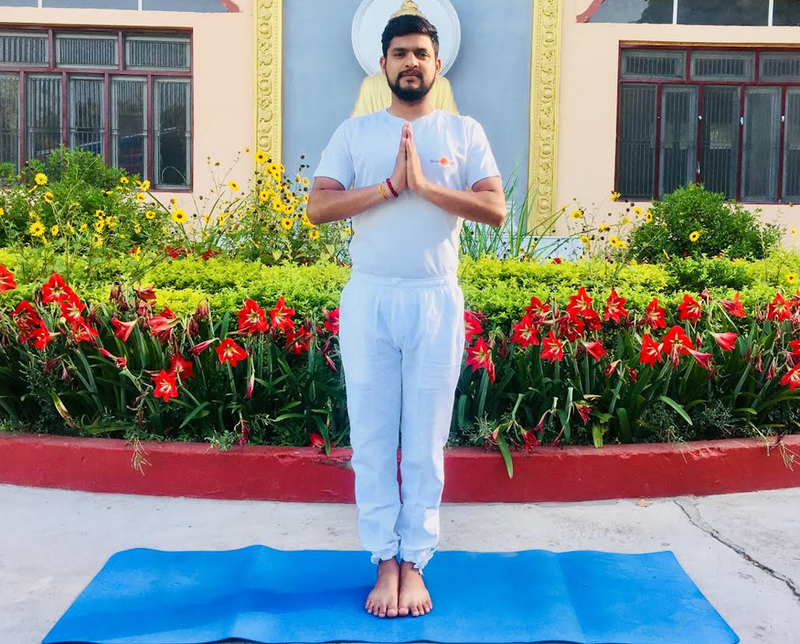 To avail the maximum benefits of this yoga pose, start from 7 or 12 cycles of sun salutation per day to 21, 24, 54 or even 108 cycles as you master this technique with time. Also check out the unseen benefits of Anuloma Viloma pranayama and start living healthy and energetic life, today! Surya namaskar – Benefits galore! 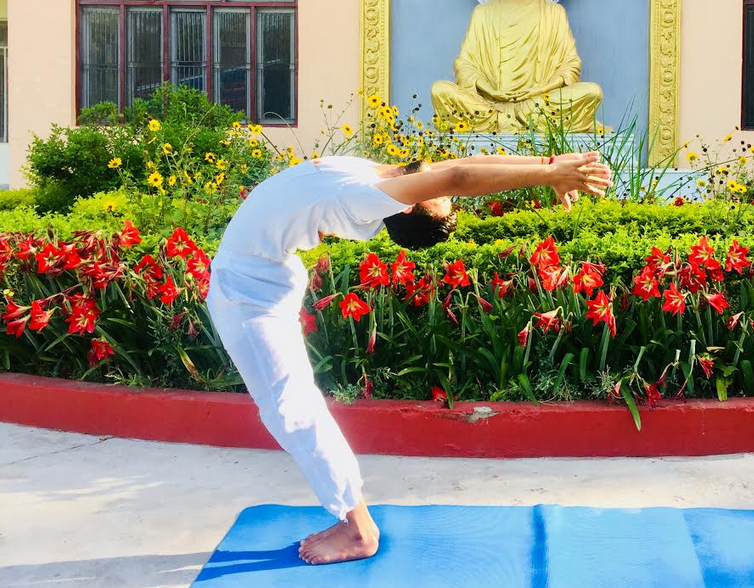 Surya Namaskar pose is a connection of various asanas which in combination help to fight several body ailments. This is the reason why it is widely practiced throughout the world and recommended by medical professionals as well. Indians have been benefiting from yoga since centuries but the West woke up from their yoga slumber in 20th century only. 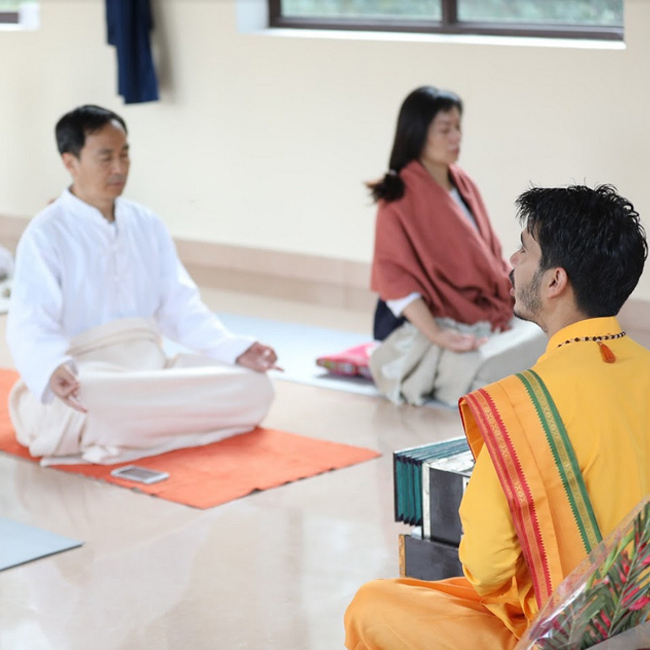 Email Ekattva at info@spiritualpunditz.com and learn the advanced Yoga and Pranayama techniques by enrolling in our 200 hours yoga teacher training course in Rishikesh. 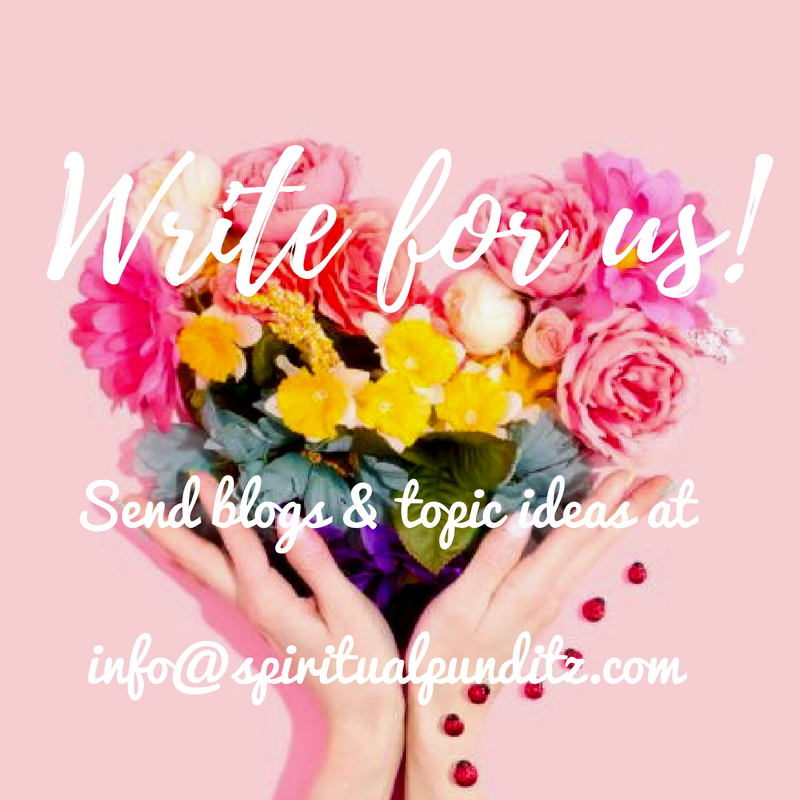 Don’t forget to check out our other blogs for more yoga and spiritual wisdom!